Filip says: I always ate the standard diet and happily indulged in sweets. Even though I have a physically demanding job I gradually started to gain weight. 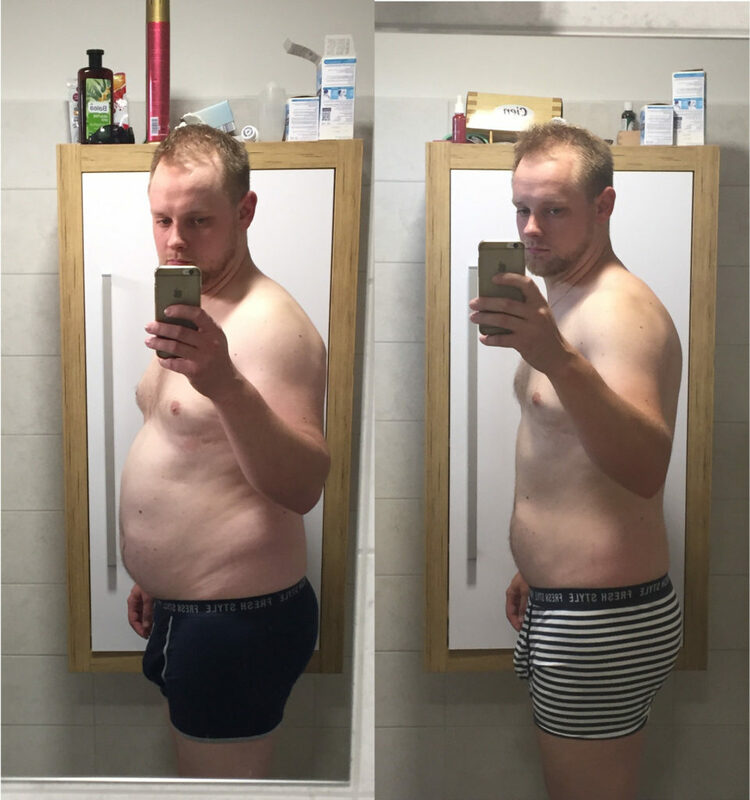 I tried various diets and weight loss supplements in the past but after initial weight loss I always gained the kilos (and some extra) back. When the extra weight started to be an issue even in my job (and I also wanted to look better) I asked Mirek for help. The transition to new lifestyle seemed easy since the first meeting with the coach. I got clear instructions which food to eat and which to avoid. I also got few recipes for healthier version of meals I liked (e.g. bread and pizza crust). When I did not know what to eat, I just took 2 slices of healthier bread without grains and hunger was gone. I switched sweet snacks for nuts. I never felt limited in any way by the new diet. On the contrary it was great that I could eat whenever I was hungry and take whatever I liked. Some people close to me were surprised when they found out about the change in my eating habits. But I had no problem asking them confidently to respect my decisions. Apart from food we also changed my movement habits. I have a lot of movement in my job but besides that I also wanted to ride my bicycle more often. During the coaching I realized how important it was to let my body rest and relax enough. I liked the online form of coaching sessions via Skype. It was convenient and saved me a lot of time. The coaching sessions seems like a nice talk to me. I knew that I could discuss any topic with Mirek whenever I had an issue, something didn't go as I expected or whenever I needed an advice. Thanks to my weight loss I feel more confident, manage my job better, have more energy whole day and sleep better whole night. And my sweet cravings are completely gone. I still carry few extra kilos but I feel confident that when I continue this new lifestyle they will be gone eventually.